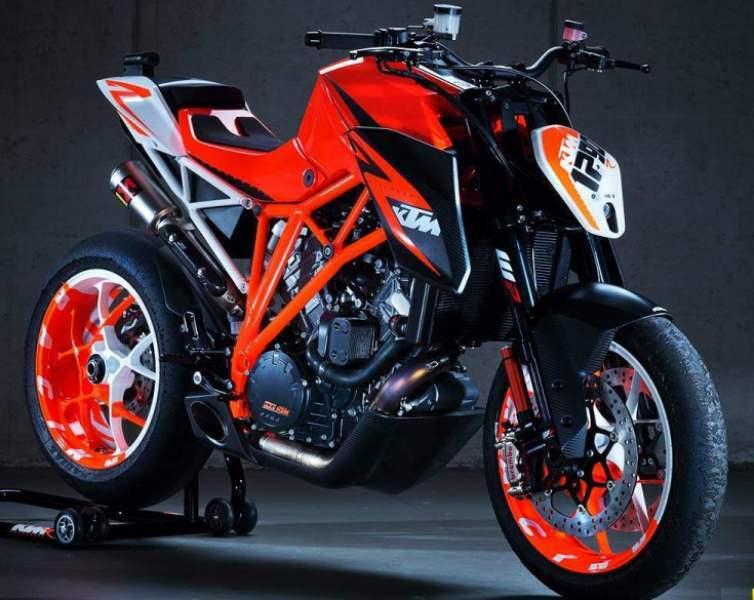 If you are looking for a motorcycle that provides excitement in abundance then you can’t do much better than the KTM Duke. 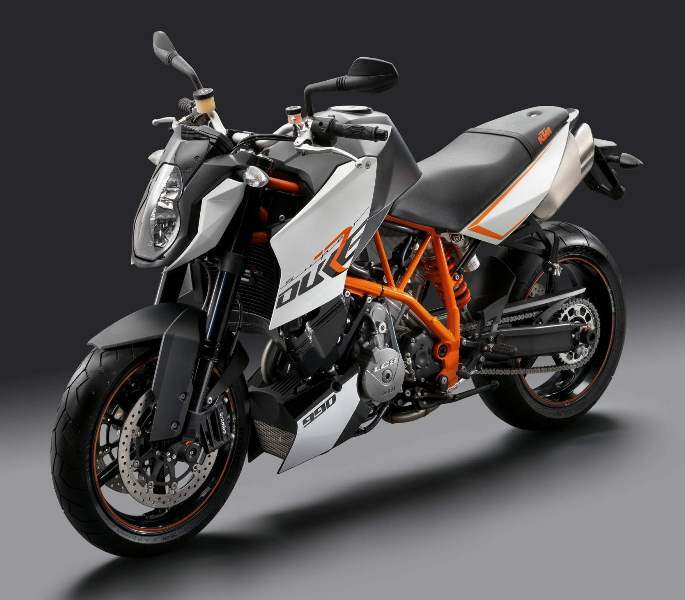 The Duke is a naked bike with a trellis frame and a much more comfortable riding position when compared to a Superbike. It is a bike that can be used to commute or to use comfortably on breakfast runs. The Duke comes in various shapes and sizes including a 125, 200, 390, 690, 690R and the 990R. 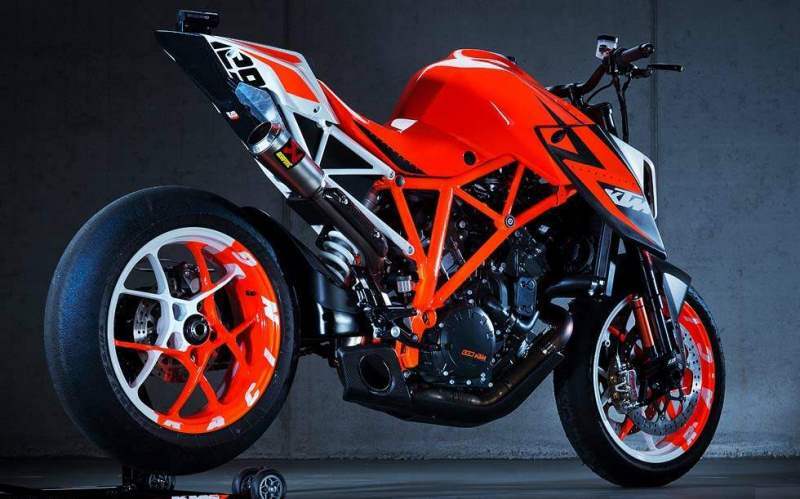 Just recently we saw the release of the 1290 Super Duke R and patriot edition, two mouth-watering motorcycles. KTM have clearly catered for all riders from all ages and levels of experience. The 990 R is a fantastically balanced machine that offers all the thrills you could wish for. There is an abundance of power thanks to the v-twin that produces 92kw and 102nm. This is not Superbike territory, however the Duke provides a lot more comfort and entertainment than a speed obsessed Superbike. It also provides more than enough power for the urban environment. The torque delivery of the Duke enables you to pick up the front end with ease. 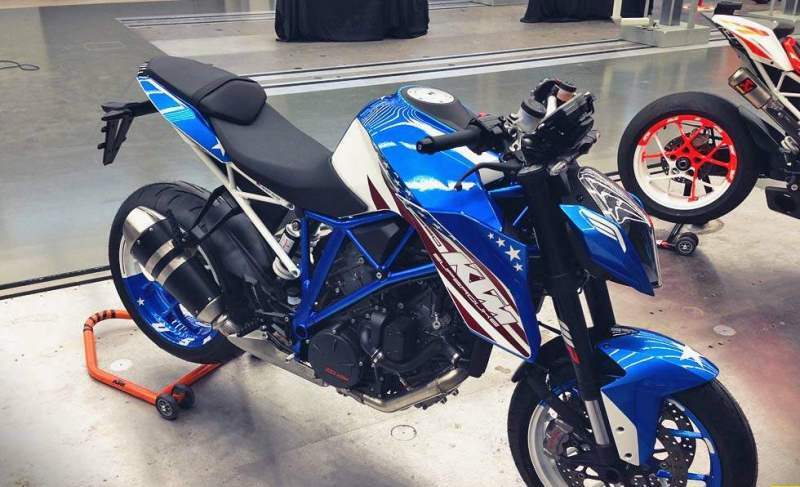 As a result the Duke has become a popular choice of motorcycle amongst stunt riders and nut cases the world over. The 990 R is fantastically finished and ergonomics are excellent. From the switch gear to the brakes, which are supplied by Brembo, the Duke invites you to have fun and enjoy your motorcycle ride. It is not intimidating for experienced riders and sounds glorious, especially with an Akrapovic pipe. The wide handlebars allow for easy turn in and give the rider permission to manipulate the Duke in any way he or she wishes. The Duke provides miles of smiles and doesn’t ask much of the rider in return. 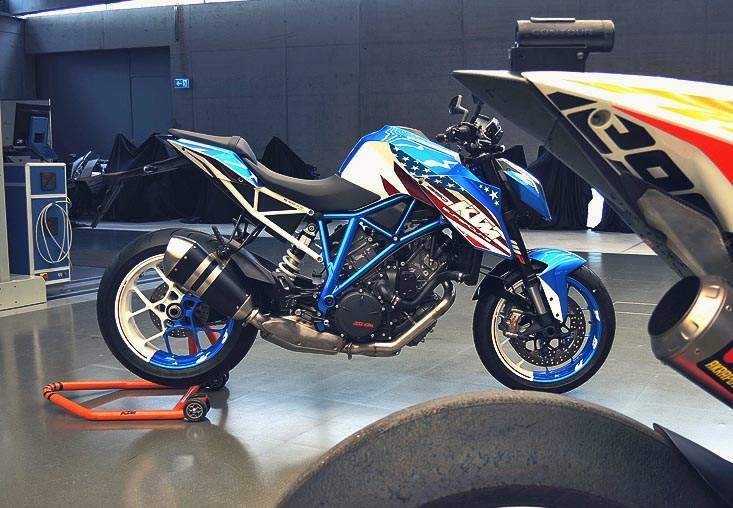 It will be hard to walk away from the dealership after test riding one of these awesome street machines. If I had to choose one motorcycle to live with for the rest of my life I would opt for a duke, so long as it was the 1290 R.